Mold is a severe health hazard that can become worse the longer you live with it in your home. It can also cause allergies, breathing problems, headaches, and even more intense medical conditions that require hospitalization. 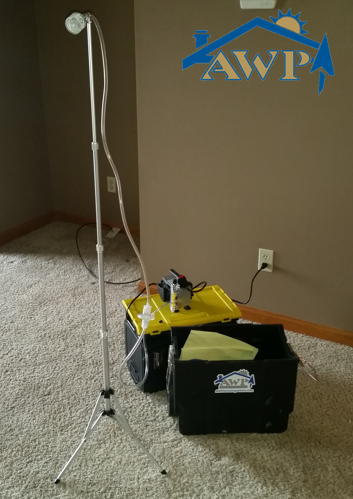 If you are unsure if mold is present in your home or business, AWP Home Inspections can help confirm its presence and identify what kind of mold species it is. Our home inspectors can perform mold and indoor air quality testing and consulting. Whether you are a homeowner, homebuyer, or business you can rely on the most trusted independently owned Indiana property inspection company. Once you know if mold is present, you can take action to protect the health of you and your family for years to come. 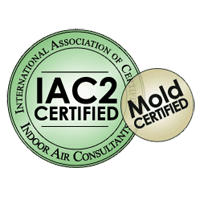 We specialize in indoor mold and indoor air quality. Call us at (765) 421-2828 to schedule an appointment in Indiana, Montgomery County, Hendricks County, Putnam County, Boone County, Parke County, and many more surrounding areas. To help identify and confirm if your home has mold present, we start with visually assessing your home for moisture intrusion. While we inspect and evaluate, we measure humidity levels and inspect for moisture intrusion in your home. These levels are important in confirming whether conditions are conducive for mold growth. We will also utilize state of the art technology using Infrared/Thermal Imaging to identify moisture in areas which is not visible to the naked eye. This means we see what others can’t. After we have completed our visual assessment we take several samples from the property, inside and outside. Once we have acquired the necessary samples, we deliver them to our partner laboratory. The certified lab we work with specializes in mold identification. Once we finish assessing the property and samples, we’ll send you a detailed report which identifies spore counts, species, mold habitat, and health issues caused by various species of mold. If mold is discovered during our inspection, remediation may be recommended and necessary. Once remediation is complete, we schedule a follow-up inspection with you to come back to the property and take additional samples to ensure your home is free from dangerous levels of mold which could cause health issues. It isn’t an option, your family’s health and safety is number one.